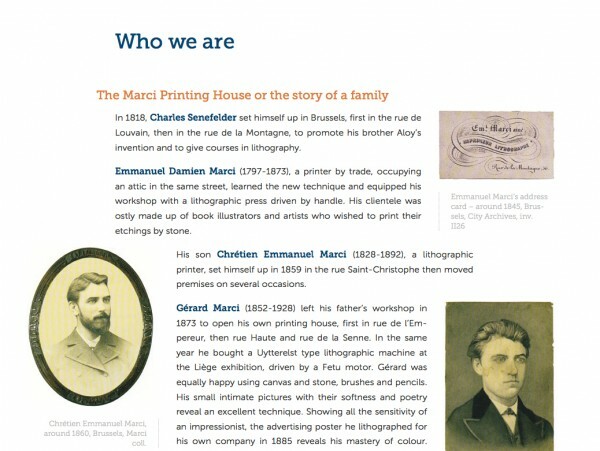 The Marci Printing House or the story of a family. 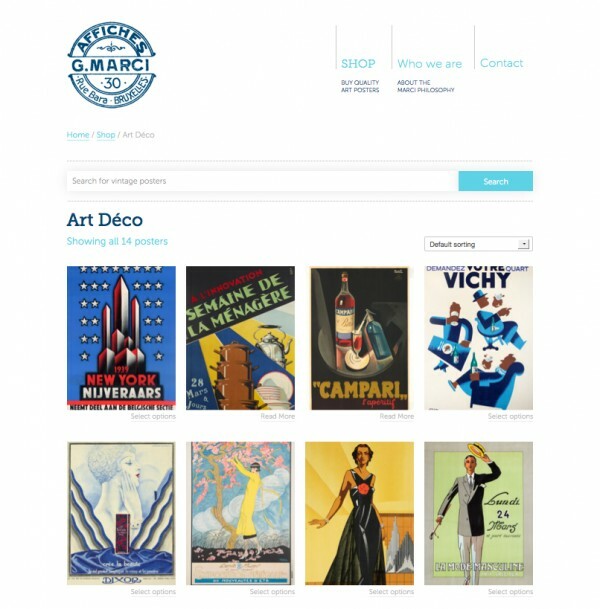 Over the past 150 years, more than a century of presence in the Arts and Crafts Graphics, five generations of Masters Printers, Affiches Marci ever facilities at the forefront of progress. Affiches Marci acquired recognized skills and expertise in the area of the poster. But it was their love for those few grams of paper that prompted Marci to collect them. Posters are designed to be ephemeral; Affiches Marci wanted them immortal. The collections have never been exposed. Today, they are to be shared. The collection offers rental of original posters for all events, demonstrations or exhibits. You can also order prints of all the posters of the collection. 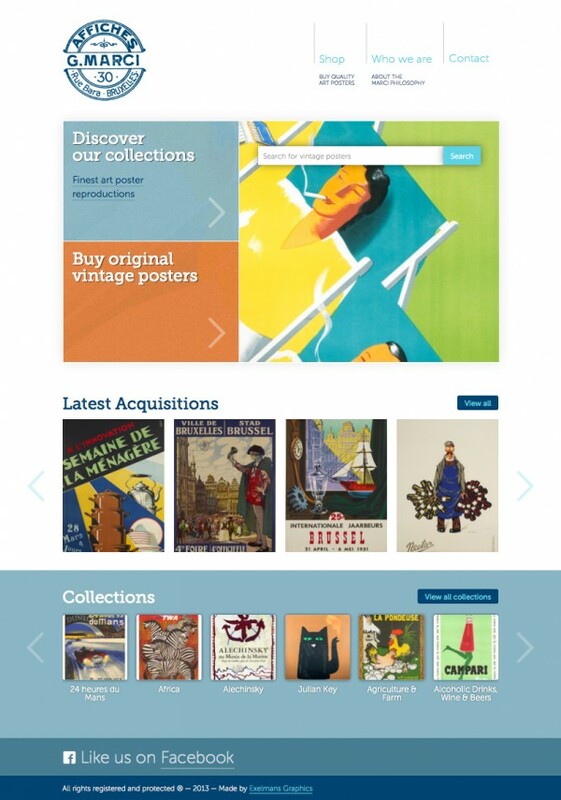 Exelmans Graphics created a web shop and online catalog for the client with nearly 2000 posters reproductions and originals for sale. With a strong sense of typograhy and white space, the design of the website allows the poster artwork to shine in a timeless, yet refined frame. The content management system helps the client maintain an overview of their online sales and inventory and poster collection.